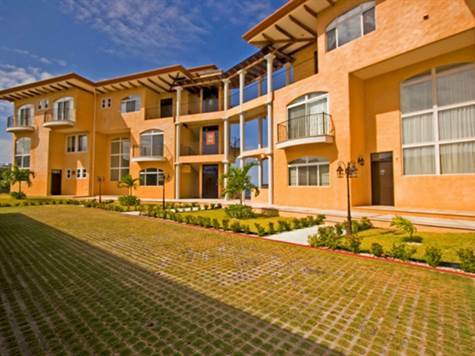 Corona del Mar (Jewel Crown of the Sea) is an exclusive condominium community located in the top of a mountain in Ocotal, Guanacaste. Hillside gem! A breathtaking ocean view. This condo offers: three bedrooms and two and a half bathrooms, unfurnished, granite counter tops, fridge, stove, microwave, dishwasher, A/C, fans, closet in the bedrooms and walking closet in the master bedroom. One car garage plus one separate storage closet. This unit also comes with a private rooftop sundeck. The community offers gated entry with 24 hour security guard, tropical landscaping, common and recreational areas, communtiy fitness center with ocean view and infinity pool with Jacuzzi, besides a backup generator system. One of the projects with best view in all of North Pacific, with both ocean & nature view. Located inside a neighborhood of expensive villas, also great for swimming and snorkeling and no more than 30 minutes driving to the International Liberia Airport (LIR) Only 11 condos spread out between 3 buildings makes this a very private setting.